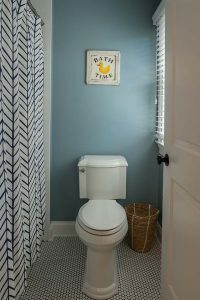 Bathroom Renovations – Design Trends to Inspire | Weaver Companies, Inc. Truly, there’s nothing like it. 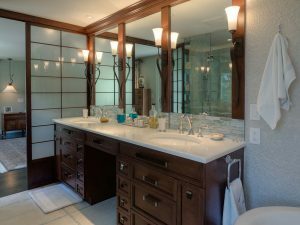 That’s why a bathroom remodel is the second most popular type of home improvement — next to a kitchen renovation. On the other hand, nothing makes your house look out of date in the same way that an antique old bathroom can. 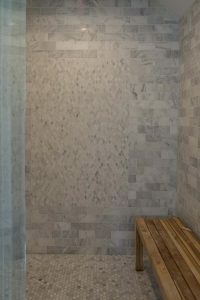 The number one reason an out of date bathroom feels out of date is the out of date shower and other fixtures. 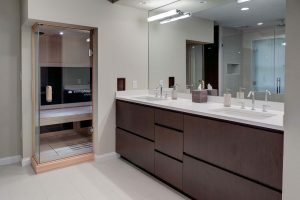 Your bathroom is the second most used room in the house, so make it grand, modern, and exactly how you’ve always envisioned it. After all, every house has a bathroom, but no house will have a luxury bathroom exactly like yours. 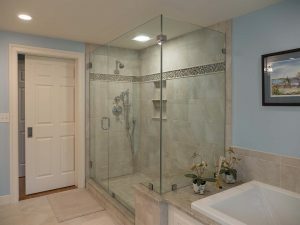 If you’re thinking about a custom bathroom renovation, then feast your eyes on this. 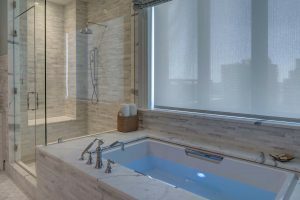 Even if you don’t have a jetted tub, your home can still feel like a spa. 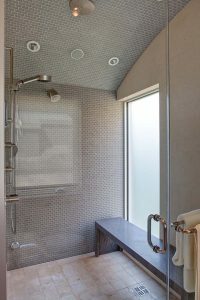 See how this spacious shower adds to the open feel of the bathroom. 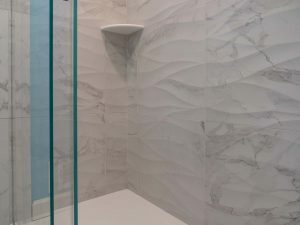 Feel like you’re in a five-star spa every day with this gorgeous glass door shower. Zero threshold looks good and adds safety as we all get older. This is one of the hallmarks of a luxury bathroom. Nothing epitomizes the style and comfort of a spa in the same way as a Jacuzzi tub. Go ahead; soak away all your stresses. 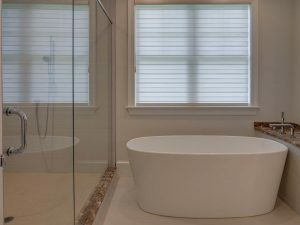 The current trend is for homeowners to choose free standing tubs rather than drop in tubs. This further creates the similarity to a spa. The marriage of traditional and modern. His and Her sinks are making a comeback in a big way. While they may be traditionally associated with a rustic farmhouse, we have installed his and her sinks in every style of home. Take in the classic look of this his and her sink. Never fight over storage space again with our cabinets that are both beautiful and practical. This sleek, modern design will bring your bathroom to the next level. Complete the design of your bathroom from top to bottom with beautiful floors that have personality. Neutral, but adds dimension. 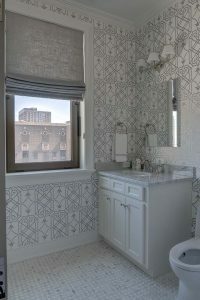 Small space with big style using this trendy pretty, penny tile. Each of these beautiful designs came from a collaboration between a passionate client and a Weaver expert. a reality, we’d love to hear from you. 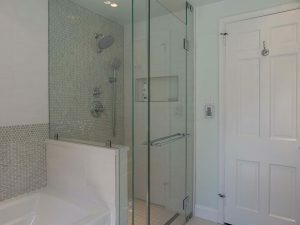 Contact us for a conversation about your dream bathroom renovation today.